EXCELLENT LOCATION! ON MAIN ROAD, close to I-17 freeway. R5 Zoning!! 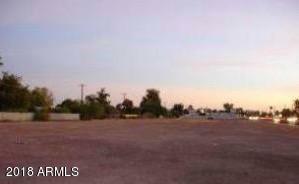 parcel -157-32-070-U is also included in this price...LOT of potential! Great infill property. Sidewalks, curbs, paved roads done. Right on 27th Ave, lots of possibilities of rezoning to light commercial, Apartment, Condos,parking space! Phoenix is growing, lot of constructions coming up, don't miss on buying this piece of land.